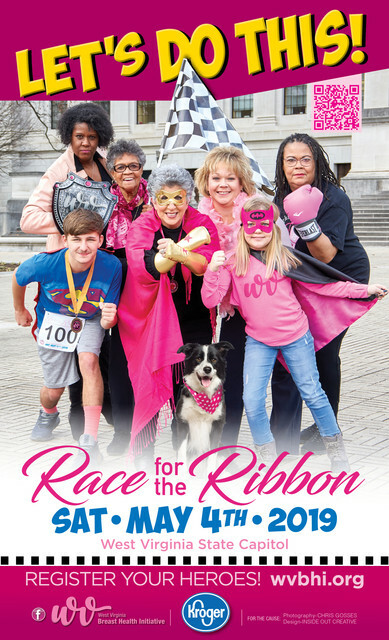 We cordially invite you, your friends, family and co-workers to join us for the 2nd Annual Race for the Ribbon on May 4th at the West Virginia State Capitol. If you or someone you know has been affected by breast cancer, we want to walk with YOU! 100% of the funds raised from the Race for the Ribbon will stay in West Virginia to provide breast cancer awareness, education and screenings. Connie K. has run 4 times 3/3 found this review helpful. As a Survivor, and having lost friends to breast cancer, we look forward to this Race every year. Anne M. has run 1 times 0/0 found this review helpful. View all West Virginia Breast Health Initiative Race for the Ribbon reviews. Raceentry.com also cannot attest to the validity of individual West Virginia Breast Health Initiative Race for the Ribbon reviews. All of the information about the race has either been supplied by the event staff or can be modified at any time by their race management. 2019 West Virginia Breast Health Initiative Race for the Ribbon registration details are only as accurate as the event has made them.